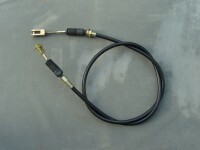 Handbrake cable for various THWAITES powershuttle models. Please check with us for suitability. Not suitable for other makes of British dumpers.